Written in PHP, phpMyAdmin is intended to handle the administration of MySQL over the Web. LAMP is an acronym for Linux, Apache, MySQL, PHP. PhpMyAdmin is a known free and open source, a fully-featured web-based frontend for administering MySQL / MariaDB database. Written in PHP, phpMyAdmin is intended to handle the administration of MySQL over the Web. It is immensely popular for doing tasks such as managing databases, tables, columns, relations, indexes, users, permissions, etc.. All the actions are performed via the graphical user interface but there still capability to directly execute any SQL statement. In order to install phpMyAdmin, you need to install the LAMP modules. Let’s start one by one. Apache HTTP server is a popular cross-platform web server that’s used worldwide. It is a free, open source, powerful and can run on UNIX/Linux as well as MS Windows platforms. Since Apache need to run continuously in the background even after a system reboot, you must enable Apache2 service on the system boot. 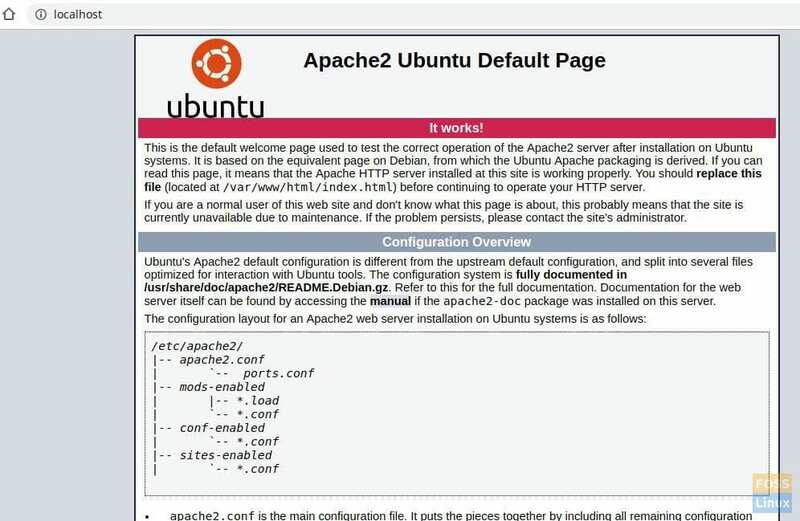 Enter the following command to allow Apache ports from the Ubuntu Firewall. Apache uses ports 80 and 443 to allow connection requests via HTTP and HTTPS respectively. Hence, we need to make sure they are allowed. OR by using server IP. MySQL is an open source relational database management system (RDBMS). It is free and open-source software for Linux. It is used by huge organizations such as Facebook, Google, Adobe, Alcatel Lucent, and Zappos. The power rests in the MySQL’s capability to save time and money powering their high-volume Web sites. Then you will see the available MySQL version table. Pay attention to the Terminal. Confirm MySQL installation by typing “Y” when needed to continue the installation. You need to execute a security script that comes with the package in order to secure the MySQL installation. You will be asked if you want to configure the VALIDATE PASSWORD PLUGIN. Type “Y” to yes and hit Enter to continue. You will see a prompt to select a level of password validation. Obviously, we would recommend 2. It will ask “Do you wish to continue with the password provided?”. Type “Y” and hit Enter. You should see a series of questions. Type “Y” for each one of them. Hypertext Preprocessor (or simply PHP) is a general-purpose scripting language that is particularly great for web development. It is used extensively for server-side scripting in order to generate dynamic content on websites and apps. We need it installed in order for PhpMyAdmin to function. We will first check for available PHP versions and then install it. Here we can see PHP 7.2 is available. We will install it. Create file PHP file inside /var/www/html folder. Then open a web browser, and enter following URL to view the PHP information page. Replace IP with your server IP or domain name in the below URL. 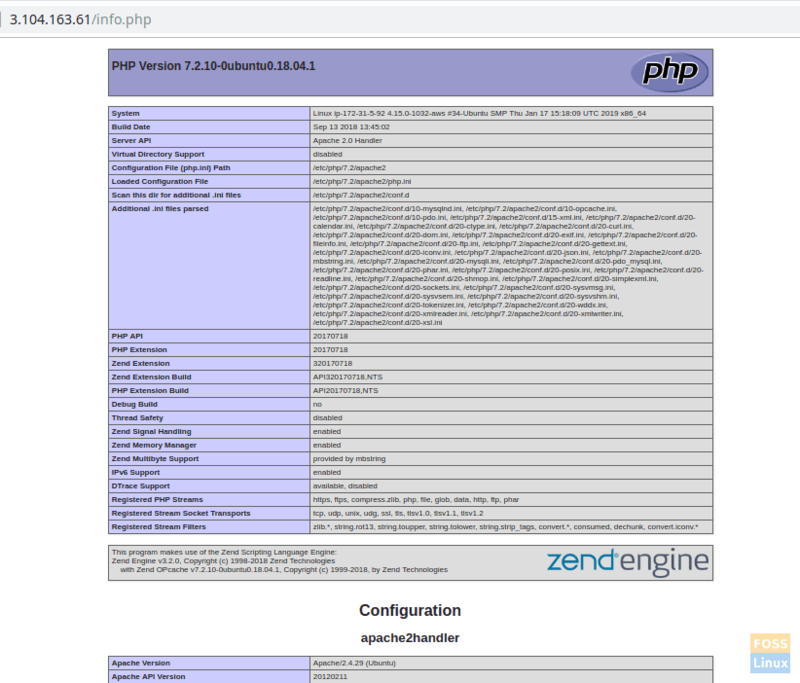 The phpinfo() function that we entered in the info.php script displays information about the PHP installation and its configuration. This implies you have successfully installed and configured LAMP stack. All the prerequisites are completed and so time to roll the phpMyAdmin installation. In the next step, select “Apache2” by pressing the “Space” bar. Select “Yes” when asked whether to use dbconfig-common to set up the database. 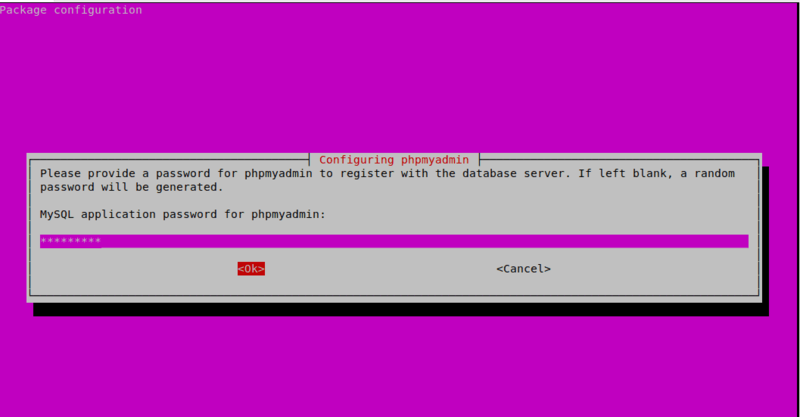 Select “OK” when prompted to choose and confirm a MySQL application password for phpMyAdmin. Restart Apache2 to apply the changes. Let’s make sure that your MySQL users have the needed privileges for communicating with the phpMyAdmin. Starting with MySQL 5.7 (and later versions), the root MySQL no longer uses a password in order to authenticate. It rather uses the auth_socket plugin by default settings. This is a feature added for greater security and usability. However, it is difficult to work with an external program like phpMyAdmin to access the user. Use the following command to check the authentication method of each MySQL user accounts. Run “FLUSH PRIVILEGES” to update changes. You can see the User interface to manage the database. This implies you have successfully installed and configured LAMP stack with phpMyAdmin. How did your installation go? Please feel free to ask and make sure to share the article with your friends on social platforms.